This topic contains 3 replies, has 3 voices, and was last updated by Saeed 2 months, 3 weeks ago. Does the IOT shield with BG96 module have DC Power to drive a Preamp GPS Antenna? Inside my house, where I’m testing, I get blank NEMA strims with the Pulse antenna where other GPS devices seem to work fine or at least see a couple of satellites. The shield is configured for a passive antenna, which will not work indoors. you will need to test it under open sky. 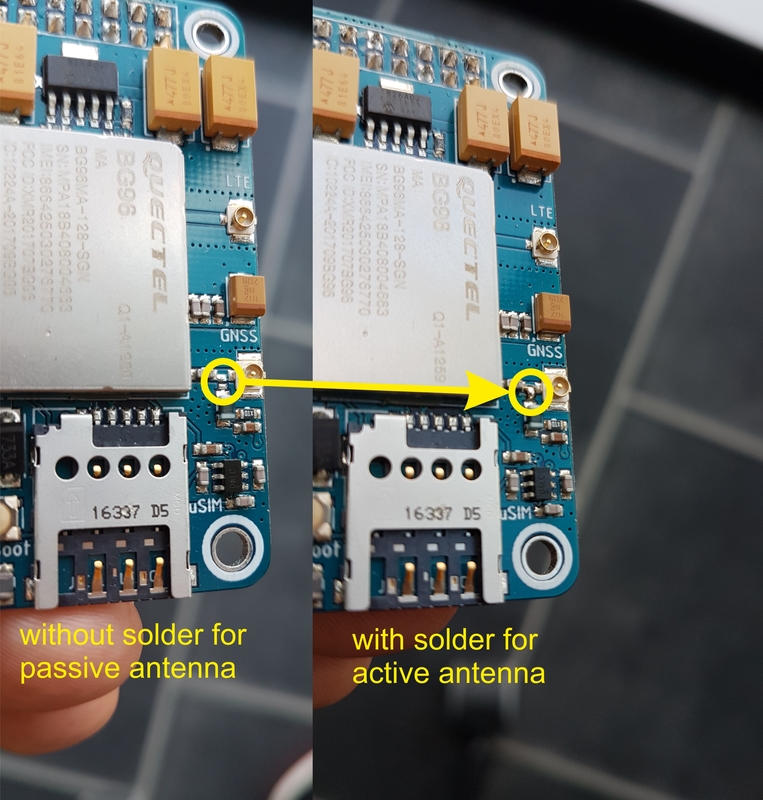 if you want to use an active antenna then you will need to solder the antenna pads as shown in the image below. This is very useful, thank you for asking the question and the answer. Is this documented somewhere that I missed? It was missing. We will add it in the description soon. Thank you for asking.